(December 2012) Late November a small but very dedicated group of people from Tobi and Sonsorol attended a translation workshop in Palau. 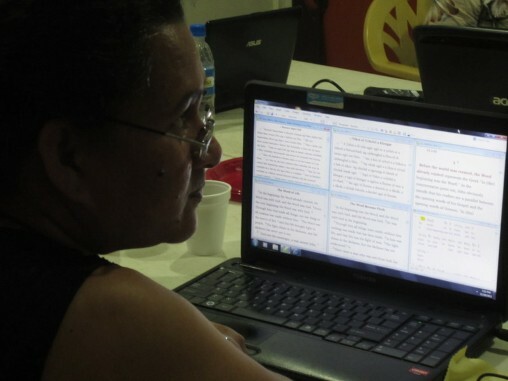 The focus of the workshop was to teach the use of Paratext, a Bible translation software program. 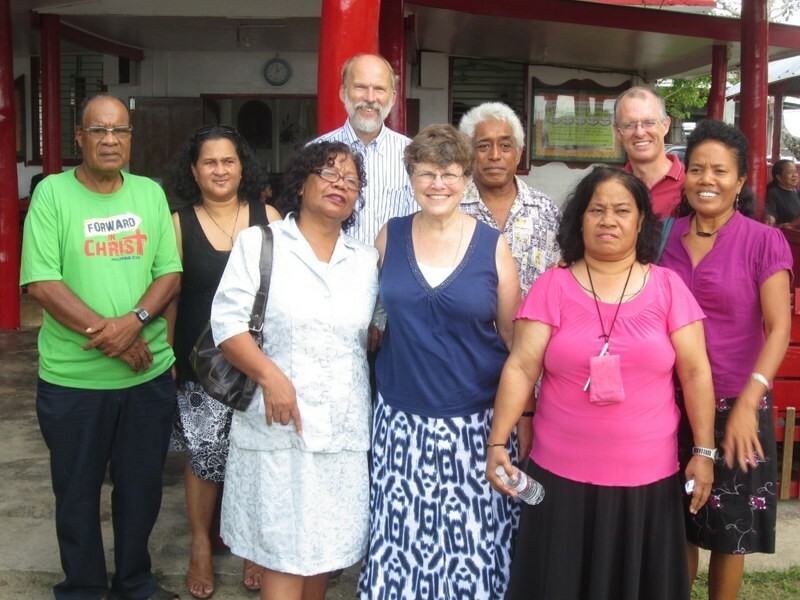 Nico and Pam Daams along with Cameron Fruit, led the workshop which was organized by Palauan YWAM members Linda Subris and Josie Lukas. The workshop lasted from November 22-30. Participants had been so eager for this training that they chose to start on Thanksgiving Day since it was a holiday. For three full days and five long evenings during the second week, participants practiced translating, editing and adapting Scriptures using Bible translation software Paratext. They also practiced using the Send/Receive function so that they can send their work to each other and edit each other’s work. It was a huge relief to know that this function allows all their work to be safely stored on an off-island computer. 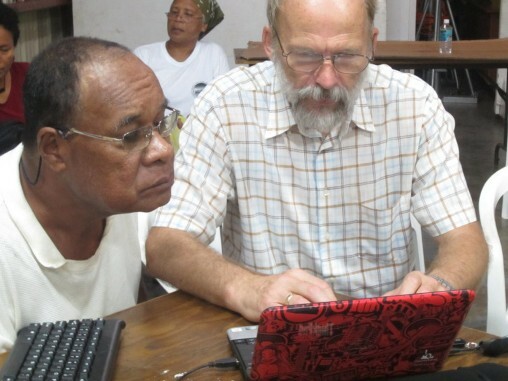 The participants understand the need to save translation work away from Palau, because previously translated Scriptures from a small team of Sonsorol translators was almost completely lost when the house of the main translator, Flavian Carlos, burned down along with all the hard copies of their translation. Fortunately the Roman Catholic church in Palau had hard copies, and these are now the foundation for the translation work in that language. During the workshop the Tobi translators adapted three chapters of the Gospel of John into their own language. It was exciting to see their desire to translate the Scriptures into their own language! 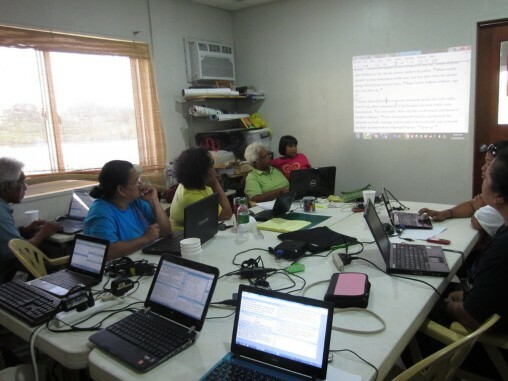 Besides the training on how to use Paratext, the team also focused on issues such as basic translation principles, choosing your source texts, and how to make a back translation. This last feature allows an outside consultant to check the translations for exegetical accuracy. This is necessary because we do not yet have a consultant who knows these languages. 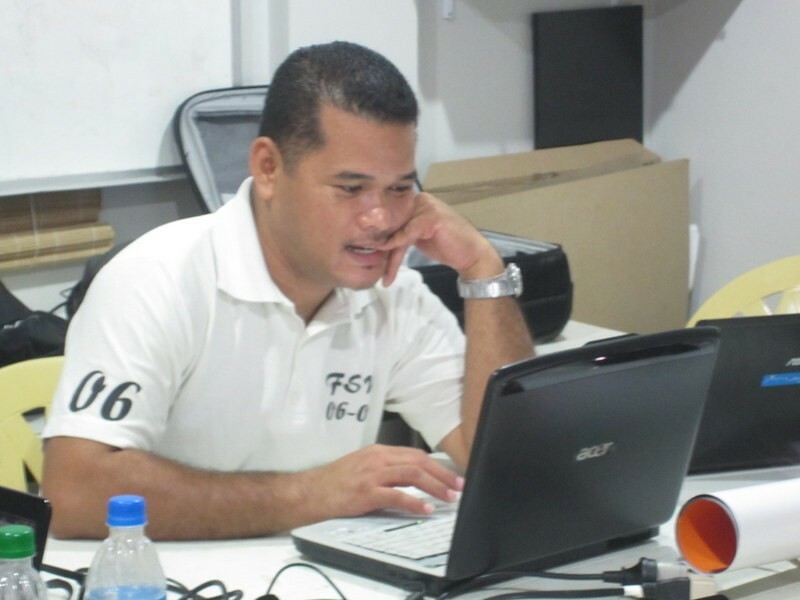 Until that is possible, various members of the Isles of the Sea team will contribute their expertise to the project. Jim Ellis, who recently received his PhD from the University of Hawaii, will be a great help in his role as Linguistics Consultant for IOS. Cameron Fruit, with his experience in other Carolinian languages, will make a big contribution. Nico and Pam Daams will provide overall coordination, training and checking. 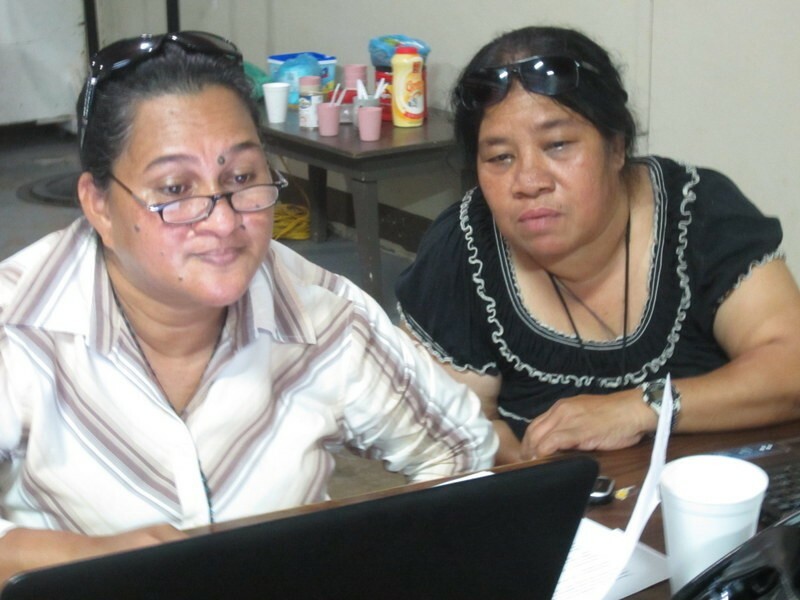 The day after the workshop finished, typhoon Bopha hit Palau. Thankfully, it moved further south than originally expected, so although damage was extensive there was no loss of life. It served as another good reminder to store translated work off-shore! After returning to Guam, Nico and Pam met with Flavian Carlos, the man who had drafted most of the Sonsorol translation in the past. He currently lives in Guam and is very happy that the project is starting up again. He will be an important member of the team doing most of the drafting into Sonsorolese. Sonsorol and Tobi, we welcome you to the Isles of the Sea project!